charging port, then plug it into the power supply to charge flashlight. Long press again to unlock. 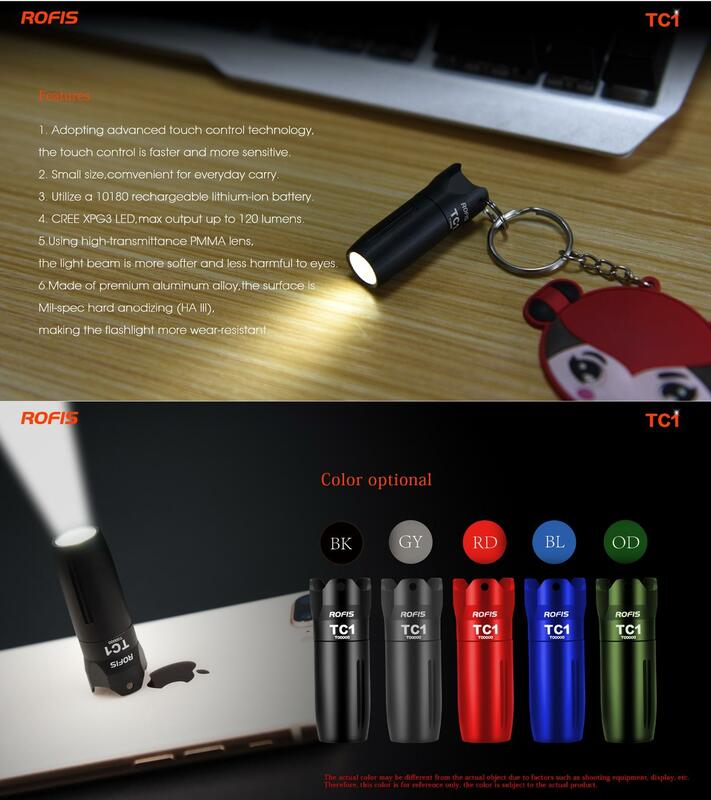 When the flashlight is on, quickly touch the switch to change mode. mode, the color of indicator shows remained battery power. Touch the switch again, turn off the positioning mode. 1.Adopting advanced touch control technology, the touch control is faster and more sensitive. 2. Small size, convenient for everyday carry. 3. Utilize a 10180 rechargeable lithium-ion battery. 4. XPG3 LED, max output up to 120 lumens. 5. Using high- transmittance PMMA lens, the light beam is more faster and less harmful to eyes. 6. 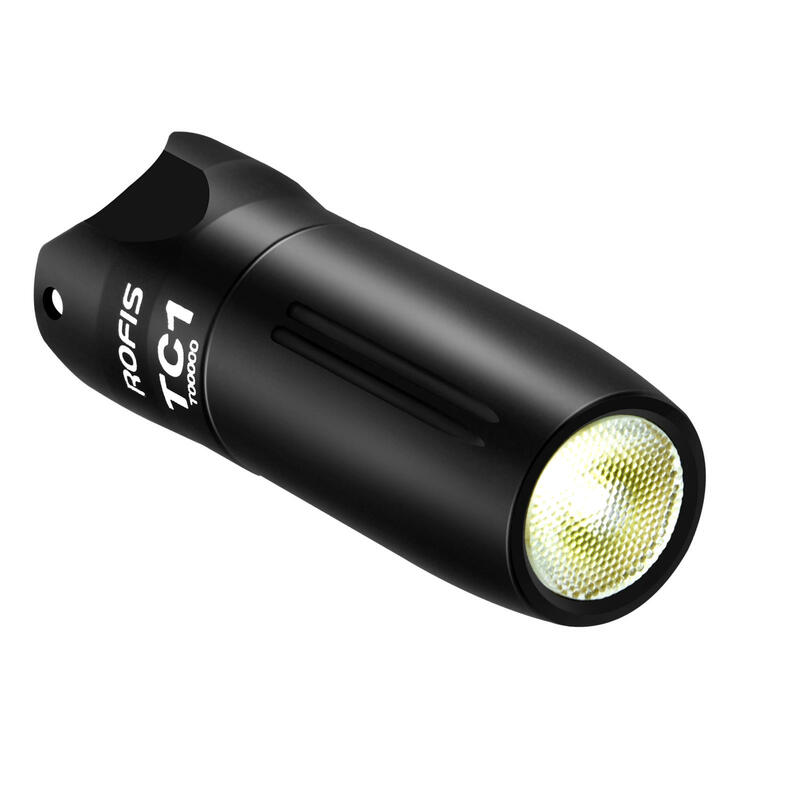 Made of premium aluminum alloy, the surface is Mil-spec hard anodizing (HA Ⅲ), making the flashlight more wear-resistant.